Okay, we've all dealt with losing and the Cubs before; it's what we know. But this is just different. This is a brand new kind of losing. It's the lulling us to sleep with softly waving 'W' flags and then waking us up abruptly by throwing a wet smelly goat in our laps kind of losing. It's losing that isn't supposed to be happening. And it's been going on for awhile now. The Cubs are really Cubbing up this whole thing. After that 25-6 start, it seemed like the rest of the regular season would just be a tune-up for the dance in October. These Cubs seemed impervious to the Cubdom of the past. And truth be told, if this team's 35 losses (against 53 wins) had been evenly sprinkled throughout the season, we'd feel a little bit differently than we feel right now. We'd all be pretty happy with a 7-game lead in the division. Instead, this team is suddenly in doubt. Maybe the inexperience and retread bullpen has caught up with these guys. Maybe the injuries are straining the depth of the roster. Maybe the clock has struck 12 for Jake Arrieta, and he's turned back into the pitcher he was as an Oriole. I hope not, but seems like it would be a real Cub-like thing to happen. As we hit the midseason break and try to sit back and celebrate a great first half and seven All-Stars, it's just like the Cubs to make us feel really uncomfortable with the biggest divisional lead in baseball. Winning for this team, it turns out, feels almost as bad as losing. Week in Review: The Cubs went 2-5 for the week, losing to the Reds, Braves and Pirates. But it didn't really matter who they were playing. They were just going to lose last week. Week in Preview: I can't ever remember wanting the All-Star break to come as badly as I wanted this one. My neck was beginning to hurt with all the head shaking I've been doing lately. I can't even see myself watching the game itself on Tuesday as I don't see how the National League can win with all those damn Cubs playing. And once they come back from the break, the Cubs have the AL-leading Texas Rangers in for three. Musical Outfielders: And no we aren't talking about Matt Szczur playing the French horn. Boy, this week really shows how up for grabs the outfield is for the Cubs. Kris Bryant - you know, the starting third baseman for the National League All-Stars - played six games last week in the outfield, mostly in left but also twice in right. Ben Zobrist, the NL's starting second baseman, started two games in right. Albert Almora Jr. (side note: do we have to say Jr. when no one actually knows the dad? No one is confused over which Almora is playing) played some center, as did Jason Heyward. Catcher Willson Contreras played a few games in left. It really may be a bit too much. Former Annoying Cub of the Week: Fernando Rodney is an All-Star, which is annoying. The Arrow is missed. Current Annoying Cub of the Week: All of them. They are all super annoying right now. Get it together guys. Mad(don) Scientist: Big Poppa Joe might want to change his T-shirt slogan to Let's Stop Sucking. 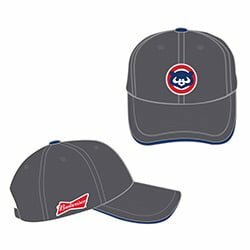 Kubs Kalender: Fans attending the Rangers game on Friday will receive a Distressed Cubs Cap, which is just perfect for distressed Cubs fan. Besides, right now every Cubs cap is distressed. Beachwood Sabermetrics: A complex algorithm performed by The Cub Factor staff using all historical data made available by Major League Baseball has determined that this is not going to be easy.